THE Leighton Buzzard Railway ‘s new season began on Sunday, March 4, when the mayor of Leighton-Linslade, Coun Syed Rahman flag off the first train from Page’s Park and took a ride to Stonehenge, accompanied by town crier Peter Hailes, who announced its departure. The season started two weeks earlier than usual, to coincide with the 50th anniversary of the railway’s first-ever passenger train. On Sunday, March 3, 1968, Motor-Rail Simplex IHRR No.1 operated a serious of ‘fan-trips’ using open wagons, and this was recreated half a century later. 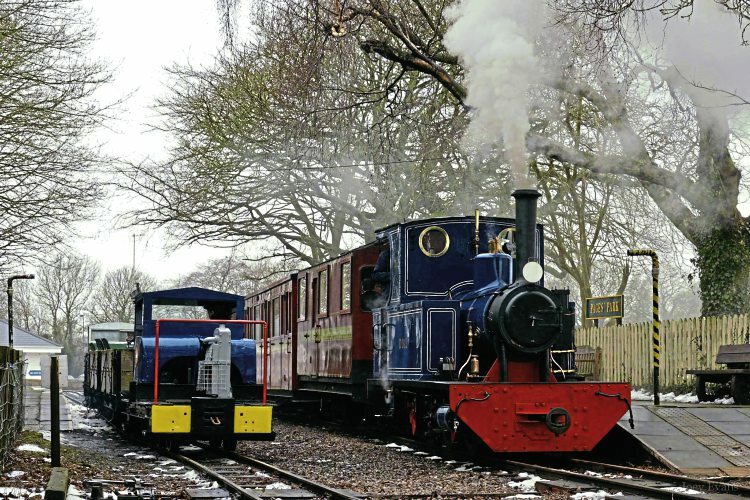 The original locomotive was rebuilt from the original chassis and the remains of the four Simplexes that were obtained from the St Albans Sand and Gravel quarry. Hauling its first passenger service for more than four decades, it offered a parallel departure alongside the first train of the season, which was hauled by Barclay 0-6-0T No. 1641 of 1919 Doll, which will celebrate its 50th birthday in Leighton Buzzard next year. The 2018 season sees a ‘clock-face’ timetable introduced for the first time, allowing more time to enjoy the visitor trail and craft shop at Stonehenge Works. Read more News and Features in Issue 240 of HR – on sale now!